You will find below the horoscope of Anna Kooiman with her interactive chart, an excerpt of her astrological portrait and her planetary dominants. If you know the time of birth of Anna Kooiman, we would appreciate it if you would send us your information with your source, at stars@astrotheme.com. To thank you for contributing to the enhancement of our astrological database, we shall be glad to send you the astrological portrait (34 pages) of this celebrity. Horoscopes having the same aspect Venus sextile Saturn (orb 0°17'): Steve Jobs, Grace Kelly, Sigmund Freud, Gwyneth Paltrow, Katie Holmes, Evelyne Dheliat, Hilary Duff, Yasmine Bleeth, Paul Newman, Ségolène Royal, Bertrand Cantat, Bruce Springsteen... Find all the celebrities having this aspect. Horoscopes having the same aspect Sun square Saturn (orb 1°58'): Emma Watson, Oprah Winfrey, Charles Manson, Joseph Stalin, Salvador Dalí, George Harrison, Jane Fonda, Lenny Kravitz, Fidel Castro, Arnaud Montebourg, Malala Yousafzai, Billie Joe Armstrong... Find all the celebrities having this aspect. Celebrities born the same day: Julien Courbet, Ashton Kutcher, Chris Rock, Juliette Gréco, James Spader, Charles Dickens, James Deen, Eddie Izzard, Garth Brooks, Christine Angot, Laura Ingalls Wilder, Victor Webster... List of all the celebrities born on February 7. Celebrities clicked on in real-time: 576,892,255 times. Anna Kooiman, born on February 7, 1984 in Charlotte, North Carolina, serves as a general assignment news reporter for Fox News Channel (FNC) based in New York City. Kooiman joined the network in 2011 and is host on FNC's "FOX & Friends weekend." Kooiman grew up in Charlotte, North Carolina, where her parents still live and own businesses – Southeast Oasis Pool and the Peppermint Forest Christmas Shop. Of Dutch ancestry, she went to Myers Park High School (2001 Graduate), where she played softball, and also played with the SouthPark Youth Association. Anna's early work in TV broadcast journalism began with her working as a sideline reporter for Fox Sports during her college years at UNC Wilmington in 2004. Here are some character traits from Anna Kooiman's birth chart. This description is far from being comprehensive but it can shed light on his/her personality, which is still interesting for professional astrologers or astrology lovers. 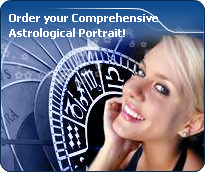 In a matter of minutes, you can get at your email address your astrological portrait (approximately 32 pages), a much more comprehensive report than this portrait of Anna Kooiman. Warning: when the birth time is unknown, which is the case for Anna Kooiman, a few paragraphs become irrelevant; distributions in hemispheres and quadrants are meaningless, so are dominant houses and houses' accentuations. Therefore, some chapters are removed from this part. Like the majority of Earth signs, Anna Kooiman, you are efficient, concrete and not too emotional. What matters to you is what you see: you judge the tree by its fruits. Your ideas keep changing, words disappear, but actions and their consequences are visible and remain. Express your sensitivity, even if it means revealing your vulnerability. Emotions, energy and communication must not be neglected; concrete action is meaningless if it is not justified by your heart, your intellect or your enthusiasm. The predominance of Water signs indicates high sensitivity and elevation through feelings, Anna Kooiman. Your heart and your emotions are your driving forces, and you can't do anything on Earth if you don't feel a strong affective charge (as a matter of fact, the word "feeling" is essential in your psychology). You need to love in order to understand, and to feel in order to take action, to the detriment of a certain vulnerability against which you should learn to fight. Anna Kooiman, the Cardinal mode is dominant here and indicates a predisposition to action, and more exactly, to impulsion and to undertake: you are very keen to implement the plans you have in mind, to get things going and to create them. This is the most important aspect that inspires enthusiasm and adrenalin in you, without which you can grow weary rapidly. You are individualistic (maybe too much?) and assertive. You let others strengthen and improve the constructions which you built with fervour. In your natal chart, the three most important signs - according to criteria mentioned above - are in decreasing order of strength Capricorn, Scorpio and Aries. In general, these signs are important because your Ascendant or your Sun is located there. But this is not always the case: there may be a cluster of planets, or a planet may be near an angle other than the Midheaven or Ascendant. It may also be because two or three planets are considered to be very active because they form numerous aspects from these signs. After this paragraph about dominant planets, of Anna Kooiman, here are the character traits that you must read more carefully than the previous texts since they are very specific: the texts about dominant planets only give background information about the personality and remain quite general: they emphasize or, on the contrary, mitigate different particularities or facets of a personality. A human being is a complex whole and only bodies of texts can attempt to successfully figure out all the finer points. You need to concentrate on a subject, Anna Kooiman, to deepen your research and to follow your reasoning through with persistence and determination. You are the very type of the thinker who needs time and isolation to meditate at length and allow her serious, methodical and rigorous mind to show its worth. Your feet are firmly planted on the ground and to get your attention, ideas must be followed by implementation, for instance as in the case of mathematics applied to physics. You focus on the essential and you look at the world around you with clear-sightedness. You are not very talkative and you act with caution. You may come across as cold and ambitious even though your comments are always sincere and practical. However, be careful not to isolate yourself and to appear as a lofty and intolerant person. Anna Kooiman, it is obvious that you do not easily fall in love. But when you do, your feelings are deep, quiet, serious, and above all, lasting. Your need for security is indispensable for your well being and to enable you to give. You offer security and stability with your sense of duty even though you mix up responsibility and love. The charm of your partner does not only include physical features or aroused sentimental attraction, but also intellectual and moral qualities: you fiercely need authenticity and seriousness because this is the way you are. In general, your loves are not numerous and you become able to express yourself quite late in life. Your quiet and stable feelings are really worth it. If you do not get what you want, the danger is that you may seek refuge in cynicism and that you isolate yourself. Your iron will is part of your assets, Anna Kooiman. It is supported by an ingenuity and a skilfulness that may turn you into a mighty and feared personality. You have the knack of spotting weaknesses in persons you deal with and you can easily hurt them with your innate propensity to drill or to test their force. You are extremely stubborn and you never let go when you are convinced that you are right. Sexually, you are potent and passionate. You are domineering and secretive, with a magnetic personality. It is safer to avoid being taken in a conflict with you because you may be very aggressive and you bear grudges. In some cases, you may also be sadistic. Your personality is as secretive as it is domineering in the areas of action and sexuality. This text is only an excerpt from of Anna Kooiman's portrait. We hope that it will arouse your curiosity, and that it will prompt you to deepen your knowledge of astrology, as well as to visit and use the wide range of free applications at www.astrotheme.com. Your Life Path is influenced by the number 4, Anna, and your destiny implies sustained efforts, long-drawn-out works, and concrete achievements. The path may seem a bit tedious, but it is very promising, provided that you demonstrate some tenacity, loyalty, and patience. You are often invited to display orderly and methodical qualities, and step-by-step, you go through all the stages which may lead you to success, if you do not let hurdles dishearten you throughout your life. Persistence is among your major qualities. You see life as a challenge, and, far from falling into the trap of picking the easy way out, you face problems with calm and lucidity, and you choose the work and steady effort which open the door to success, although evolution requires quite a long time. Your personal path is based on continuous efforts and on maintaining the same immutable direction.